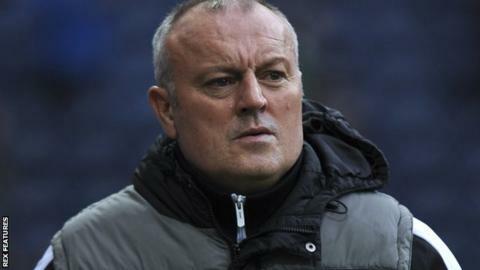 Rotherham United have sacked manager Neil Redfearn after just four months in charge at the New York Stadium. Redfearn, 50, joined Rotherham on a two-and-a-half-year deal in October after three years at Leeds United. The Millers won only five of 21 games under Redfearn, losing 14, leaving them 22nd in the Championship table. "As we all know football is a results driven business and our aim has to be to retain our Championship status," said chairman Tony Stewart. Redfearn replaced current Leeds manager Steve Evans at Rotherham after he resigned from his role as academy boss at Elland Road. They were knocked out of the FA Cup by Leeds last month and are winless in four league games, having lost at Bolton, the team immediately below them in the table, on Saturday. The club have yet to clarify the position of Nicky Eaden, who was appointed as Redfearn's assistant on a two-and-a-half year contract only four days ago.